On campus, in the heart of Athens -- 200 hotel rooms and suites in an ideal location. The university’s official hotel offers accommodations and on-site restaurants as well as meeting facilities and services to all Athens and UGA visitors. Located on south campus, across the street from Stegeman Coliseum and less than one mile from downtown Athens, the University of Georgia Center for Continuing Education & Hotel provides complimentary shuttle service throughout campus and downtown Athens. The hotel's shuttle will take you anywhere on the university’s 750 acre campus including to UGA's iconic arch, the gateway to downtown Athens. Looking to play the UGA Golf Course, explore the varied neighborhoods of Athens, meander through the State Botanical Garden, or visit the Ga Museum of Art? University of Georgia Center for Continuing Education & Hotel loves to share the best of Athens with you. Free Wi-Fi and relaxing lounges make the University of Georgia Center for Continuing Education & Hotel the perfect location to call home whether you are attending a meeting or spending a weekend in the Classic City. Every room is outfitted with a mini-refrigerator, microwave, and coffee maker and the variety of guestroom sizes allow you to decide what works best for you this visit. 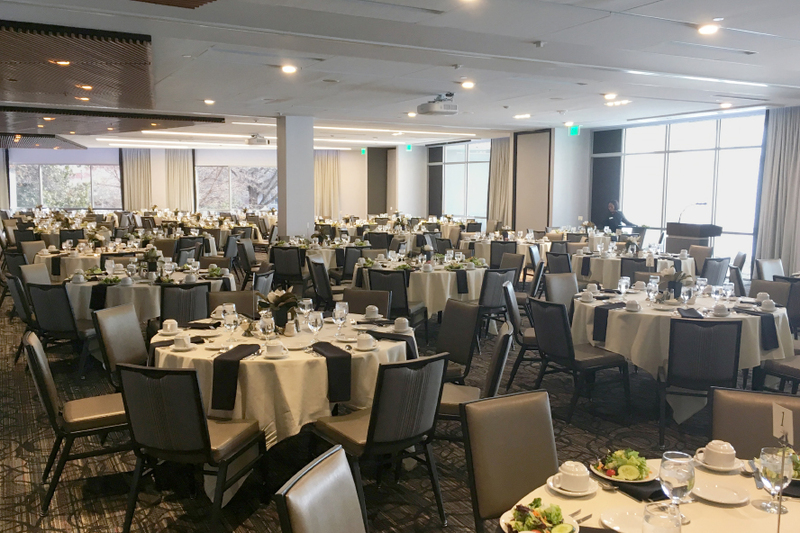 Part of the Center for Continuing Education, this professionally managed hotel and conference center is the favored location of both alumni and conference attendees. With dining, meeting, and sleeping accommodations under one roof, located immediately adjacent to the university’s south parking deck, even the occasional bad-weather day can’t put a damper on your plans. Hotel guests have special access to UGA athletic facilities including, for a nominal daily fee, the Ramsey Student Activities Center which includes an indoor track, three swimming pools, enormous weight room, and racquetball courts. The Parents Club, an exclusive benefit for all UGA parents and guardians, provides discounted meals and rewards for frequent stays. University of Georgia Center for Continuing Education & Hotel is a technologically advanced property providing facilities and services for meetings of 2 to 600. 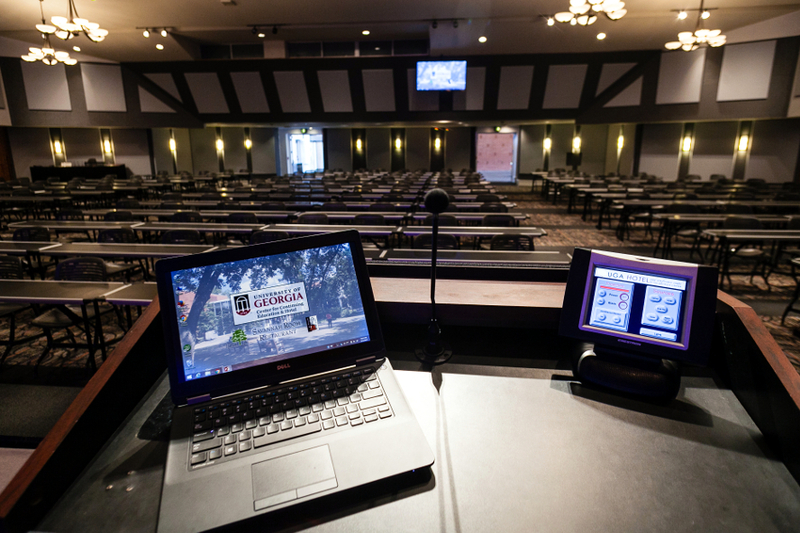 This purpose-built hotel and conference center is staffed by professionals focused on the success of your event. 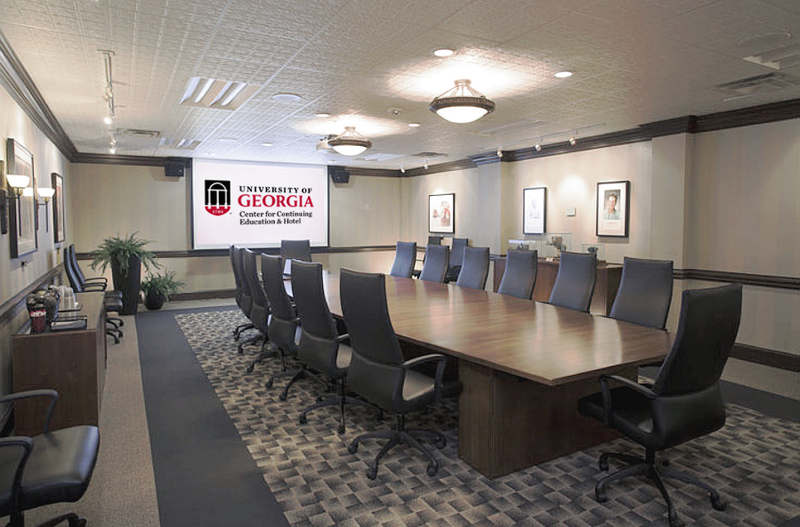 In addition to offering complete event coordination services including working with registration, vendors, exhibitors, and speakers, the University of Georgia Center for Continuing Education & Hotel also can provide assistance with program development. 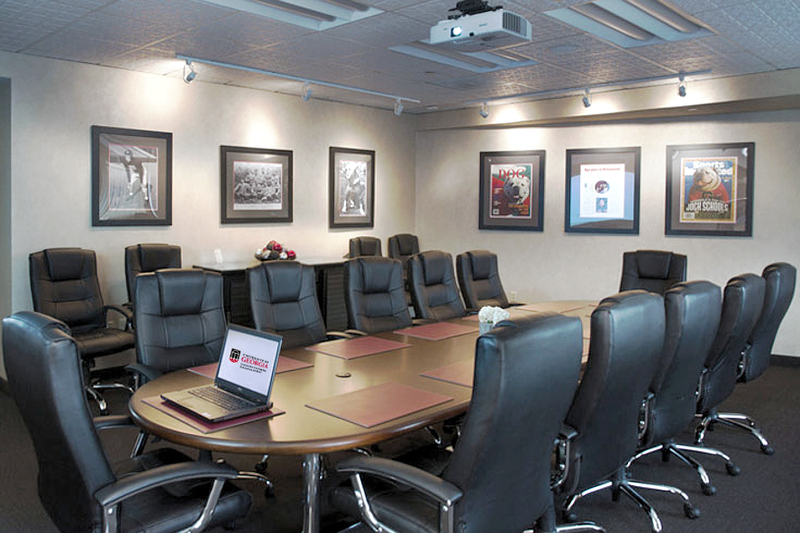 Meeting rooms are furnished with ergonomic chairs, linen-less conference tables, and lighting with meetings in mind. When it is time to plan your group’s meals, allow the in-house catering staff to guide you toward a menu that will meet both your nutritional and budgetary goals. 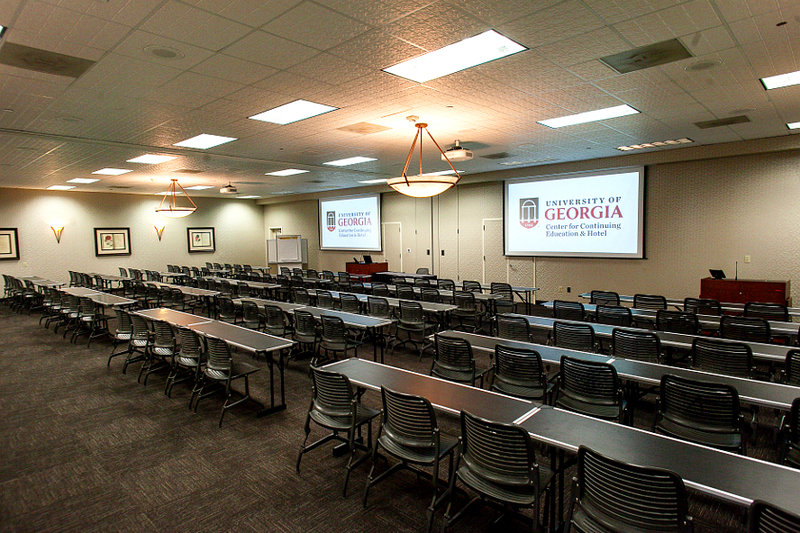 The University of Georgia Center for Continuing Education & Hotel is proud that so many clients return year after year.